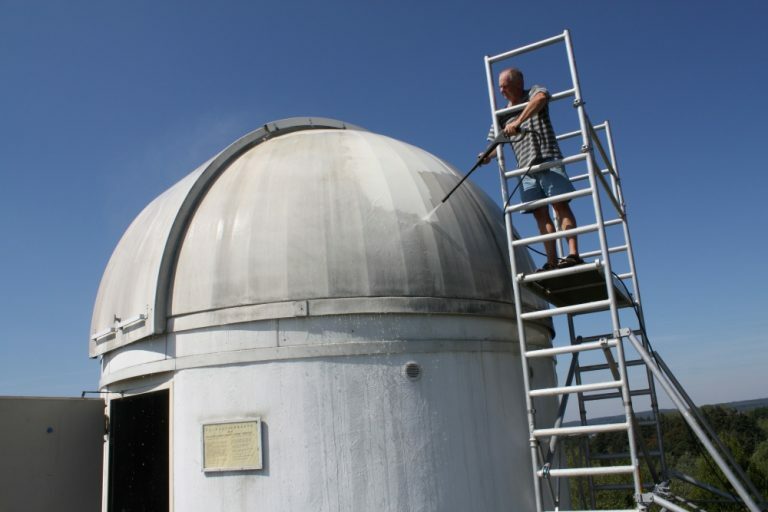 Not every university lecturer can get the internet excited about an observatory, but then Dr Hubert Zitt isn’t your average academic – and his latest project is something else. 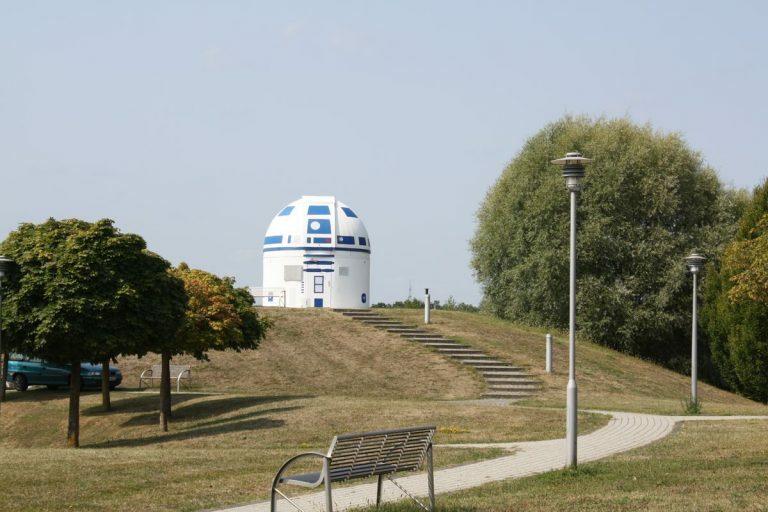 The Star Wars fan has painted the Zweibrück Observatory – in his native home, Germany – to resemble a giant R2D2. 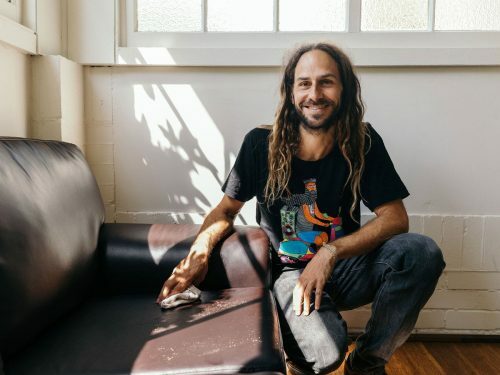 An electrical engineer by trade, Zitt has made a name for himself in recent years through his entertaining lectures about the science and technology used in shows like Star Trek. 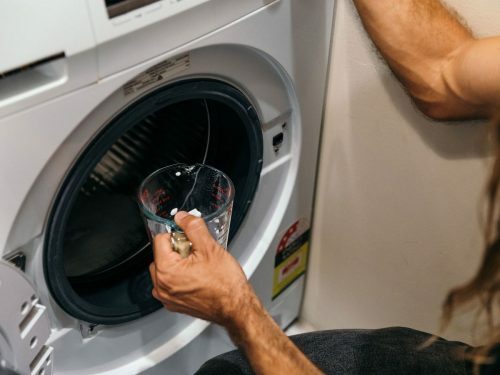 In 2008, he taught a full semester of Star Trek Physics at a university in San Antonio, Texas. He currently lectures in science fiction at the University of Kaiserslautern. 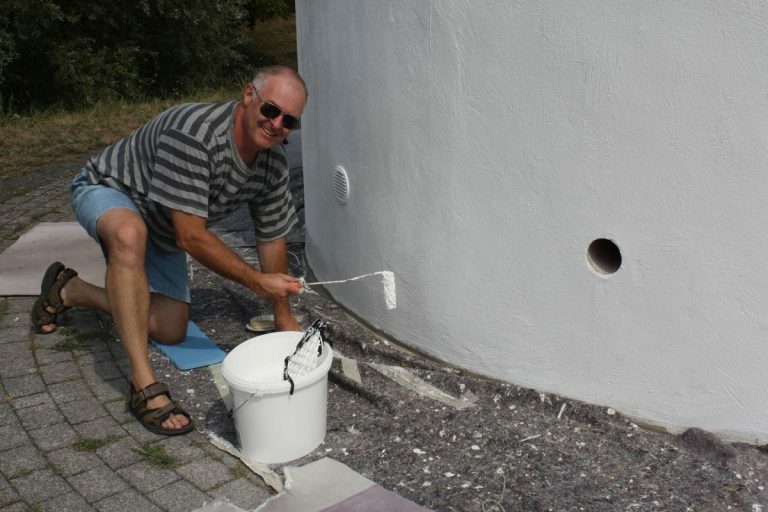 Zitt and his students spent hours painting the large on-campus structure white and blue. 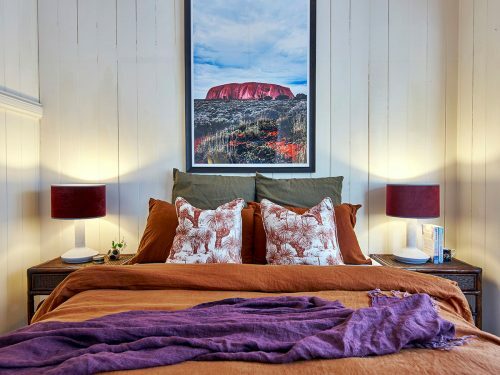 Their droid-like version of the observatory was finished late last year. While Star Wars fans are going nuts for the observatory’s new look, there’s no word yet on how long the structure will stay droid-like. 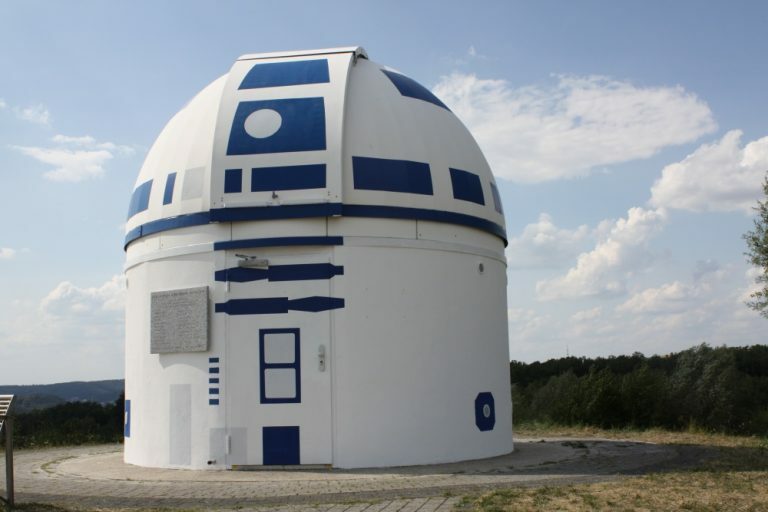 The German R2D2 observatory isn’t the first of its kind, as designboom.com notes. 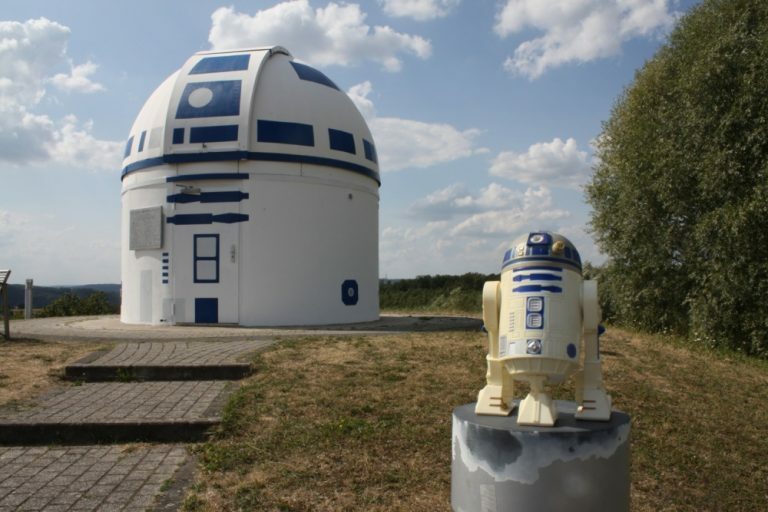 Minnesota’s Goodsell Observatory was painted blue and white to resemble R2D2 in 2010.